The Ohio Hunger Dialogues invites all stakeholders interested in addressing hunger and food insecurity in Ohio to attend. This dynamic dialogue seeks to engage attendees in conversations to share knowledge and insights; and to collaborate on best practices and solutions around the systematic issues of hunger and food insecurity in Ohio communities. 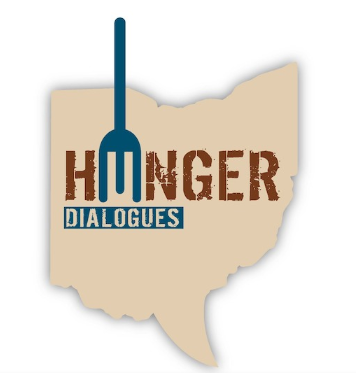 The Ohio Hunger Dialogues invites you to submit a proposal for the 3rd Ohio Hunger Dialogues, which will be held on September 27-29, 2019 in North Canton, Ohio at Walsh University. The theme of the Dialogue is “Unique and Innovative Community Collaborations.” All presentations will be on Saturday, September 28, 2019. They encourage a wide range of proposals around the issues of hunger and food insecurity, particularly proposals that highlight unique collaborations and innovative solutions. Sessions formats will be designed to support dialogues, and will include presentations, panels, posters, and lightning rounds.